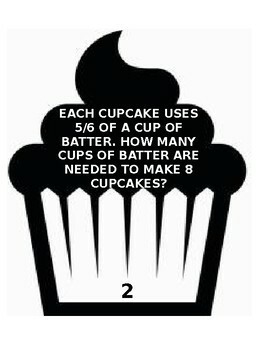 This product is an editable fraction cupcake baking themed word problem station. 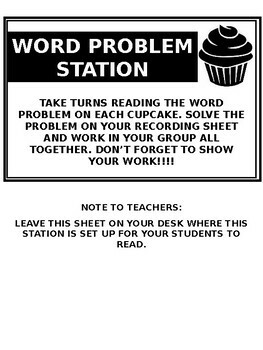 Included is editable cupcake word problem sheets, an answer key and a recording sheet. included will also be a set of instructions on how to use it and some suggestions on ways you could split your children so that they all get a go. This is a group task. 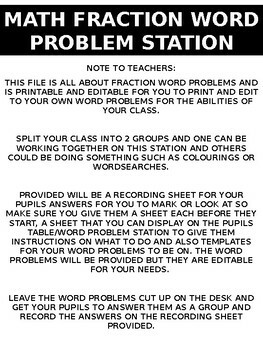 As I said this product is editable for your levels of students incase you would like to make the word problems for you!! !